Our product range includes a wide range of copper braid flat, copper tubes, copper pipe, copper bonded earth rod, copper bonded ground rod and copper braid bond. Flat Copper Braid. Our most economical standard flat copper braid is made from 0.20 dia wire and are braided into a tube followed by a rolling process to flatten them. ... These flat copper braids can be made from electrolytic copper Cu-ETP (grade C101) or from Oxygen Free Copper and in a wide range of finishes. 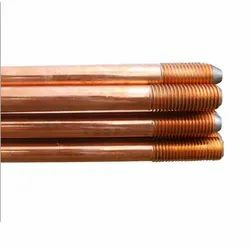 Copper tubing is most often used for supply of hot and cold tap water, and as refrigerant line in HVAC systems. There are two basic types of copper tubing, soft copper and rigid copper. 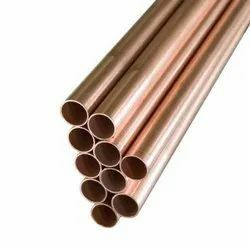 Copper tubing is joined using flare connection, compression connection, or solder. 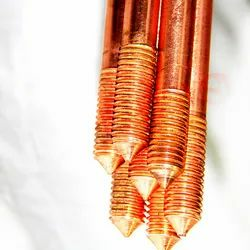 Copper pipes are commonly used in the construction industry for water supply lines and for refrigerant lines in HVAC (heating, cooling, and air-conditioning) systems. 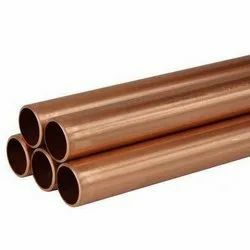 Copper pipes can be manufactured as soft or rigid copper and offers excellent corrosion-resistance and reliable connections. Copper-Bonded Ground Rods. copper-bonded ground rods are the highest quality ground rods available today. We use a unique manufacturing process, which includes drawing the steel rod to size before the copper bonding process begins. This results in a straighter, harder steel core, making installation easier. 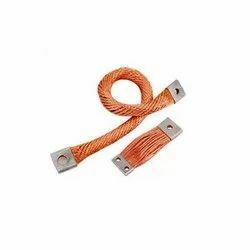 Our organization is well known in the industry, in offering a broad range of Flexible Copper Braid Bonds to our prestigious clients at reasonable prices. we are supplier in Copper Braid Bond. 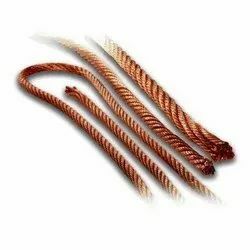 Copper rope braids are available with plain, tinned, nickel-plated or silver-plated surfaces, depending on your application.Our round, stranded copper rope braids stand out by being highly twist-free and having a compact cutting surface, which is important for your problem-free further processing. Our round copper rope can be woven with a left or right hand twist.